Computech International is equipped to provide laser-based “contactless” engraving service, capable of working on many plastic and metal surfaces. 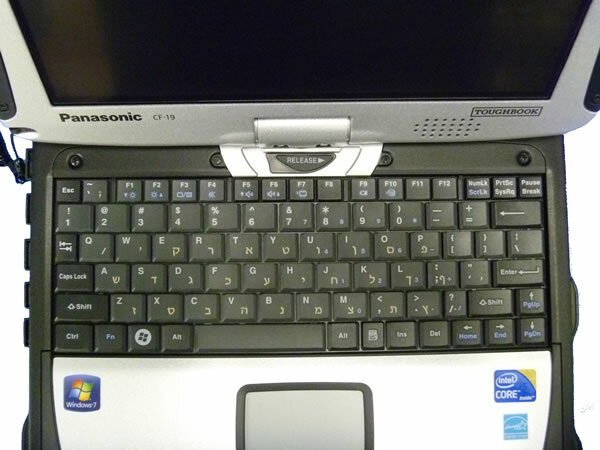 We have added alternate language characters to thousands of Panasonic Toughbook keyboards as well as engraving asset numbers on the Panasonic Toughbook chassis. The process works by burning off a very small amount of the top surface of the key – not enough to cause any damage to the integrity of the cap. The laser burn causes the exposed area to permanently change color; it contrasts nicely against the keycap color and is highly readable.